How to optimize your website for the Voice Search. Let’s get acquainted a bit closer with the anatomy of voice search: what is it and how it differs from text search? Meet these three real-world digital assistants: Siri (Apple), Cortana (Microsoft) and Alexa (Amazon). Though not that popular yet, they have already received a lot of attention and affection from users all around the world. Apart from them, there are more common and familiar to us various mobile apps and devices equipped with voice search functionality. Nowadays digital assistants are smarter than ever before: by analyzing all existing available data, they strive to understand user way of thinking and behavior and get them delivered what they want. Moreover, various researches show that they are really good at it now. Voice search coming on strong: ComScore (American media measurement and analytics company) says that 50% of all searches will be voice searches by 2020. We mastered text search and know how to use it quickly and efficiently: type in a few key words and results immediately show up. A typical example of text search could be “Best hair salon Minsk”. While looking for some information via voice search, we tend to make our queries longer, typically asking a question as if addressing to a real person, e.g. : “What are the best hair salons in Minsk?” or “Which hair salons have the best reviews in Minsk?”. 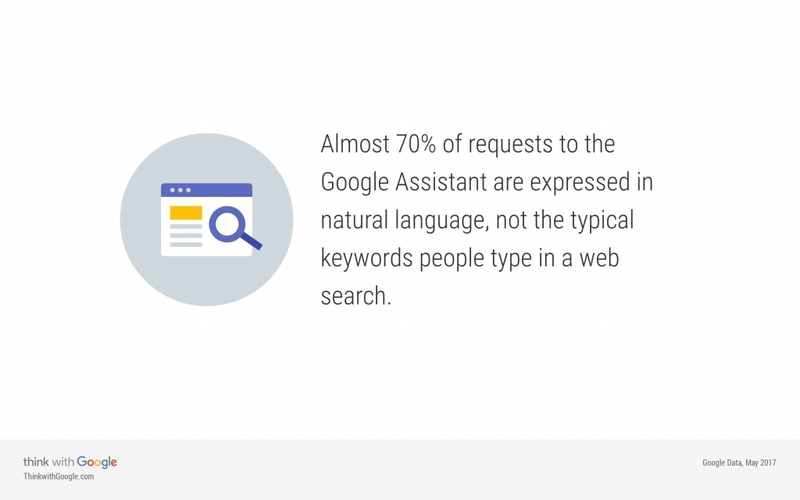 Thus, voice search queries are usually longer than those inputted manually and contain words like where, how, why, who and when. We ask a question and want search engines to provide us with an answer. Optimize page speed. There’s a direct correlation between well-optimized websites and their position in voice search results. But not only this. Page speed affects user experience. Thus, your audience will likely spend more time on your website, which eventually may end up in your website visitors turn into actual clients of yours. Want your website to be successful and bring value to your business? Keep an eye on your website page speed. Always. Consider the length of answers. There is a study that says that roughly 41 percent of all voice search results came from Featured Snippets. Featured snippets are generated by Google search results placed in a box that are featured on top of its organic results below the ads. The goal of featured snippets is to answer the user’s question straight away. Keep it simple. Your content must be written in natural language. This sounds obvious in 2018, but we want to strengthen this one once again. You will benefit in several ways: users will love reading your posts, they will likely subscribe to your updates and consider sharing your content on social media. Your brand will get additional exposure, which will also end in more frequent organic search results. PreviousWhat does WP stand for?